Pindus is of a complex of mountains, mountain ranges, ravines and gorges. Tzoumerka is probably its most impressive mountain range. Tzoumerka or Athamanika mountains, surrounded by the rivers Arachtos, Aspropotamos (Acheloos) and their countless tributaries stand out for the wild beauty of their landscapes and the abundance of water. There, the visitor has the chance to enjoy the beauty of the nature and to get to know the locals and their traditions. 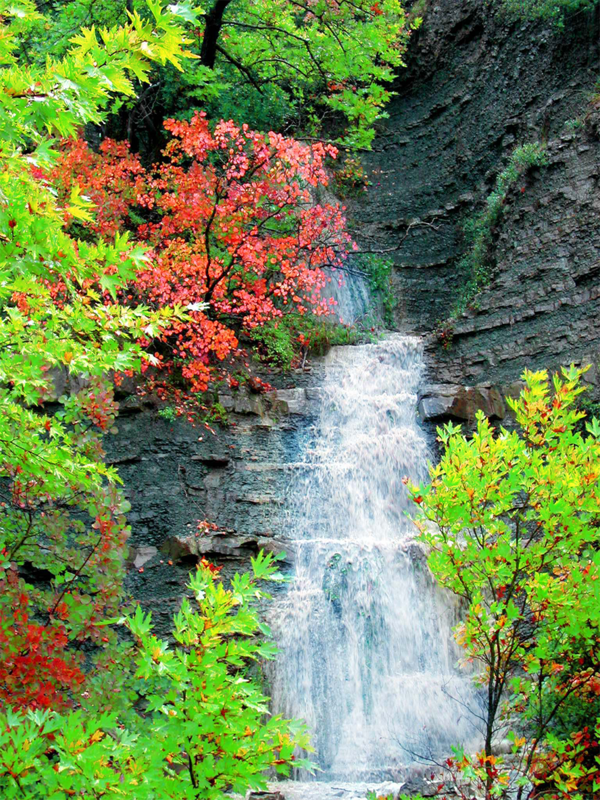 The National Park of Tzoumerka, Peristeri and Arachtos Gorge is an open land area of approximately 820 km2.Its main aim of foundation is the preservation of natural and cultural heritage, as well as that of the wild life, along with the development of activities, so that all the features of the protected area ( natural, historical and cultural) remain intact for future generations. Within the National Park an extended area is already being protected under the existing national and European legislation, since three sub-areas have already been integrated in the European Ecological Network “Natura 2000”. The diversity of the region’s climate, combined with the significant differences of altitude and the intense alternation of geomorphology and terrain favor the growth of remarkable, rich and, in some cases, rare flora and fauna. The forests, with their change of color according to the season, attach an exceptional beauty to the landscape. The local fauna is of particular interest as well, since it hosts some rare and protected species, such as the wolf, the bear, the wild goat, the eagle, the deer, the fox etc. is situated in the Southern Tzoumerka (or Athamanika Mountains) at an altitude of 800m and is built on the fringes of the Tzoumerka between two fir-covered hill chains that protect it in their natural embrace.It is the head-village and seat of the Municipality of Central Tzoumerka. It is close to cities such as Arta, Ioannina and Trikala. The two big rivers of the region, the Achelous and Arachthos, are close as well as the Mesochora dam and the Pournari artificial lake. Pramanta Pramanta is situated at an altitude of 840 m., at the foot of the imposing peak of Stroggoula, behind which lies the mountain range of Tzoumerka. Agnanta Agnanta is one of the biggest villages of Tzoumerka. It is situated near the village of Katarraktis, at a distance of approximately 50 km both from the city of Arta and that of Ioannina. It is built at an altitude of 700 meters and is well known for its numerous natural springs and its dense vegetation. There, one can visit the well-preserved traditional water-mill still in use, as well as the folklore museum, where the visitor gets acquainted with the traditional local lifestyle of the past. Athamanio Athamanio, a village totally immersed into firs, is built on the fringes of Southern Tzoumerka, with its houses amphitheatrically placed, from an altitude of 700m in the centre of the village up to the 2,393m of the mountain peak. It constitutes the biggest and most populated village in the Municipality of Central Tzoumerka; 64km away from Arta, the capital of the prefecture.Verdant, brimming with firs, planes and running crystal-clear water, Athamanio displays plenty of arch stone bridges – with the “Tsagkaraki” bridge being the most famous one – and stone-built fountains offering water to any thirsty passer-by. Thanks to its ideal climate, two camping sites in the village host lots of children and students during summer. Plaka At Tzoumerka, where the water and the rivers are abundant, the visitor gets the chance to visit and traverse many stone bridges. These edifices, beside their practical use, constitute the ultimate feat of architecture and elegance, since they fit in perfectly in the surrounding environment. The most famous among them is that of Plaka, which was constructed in 1866. 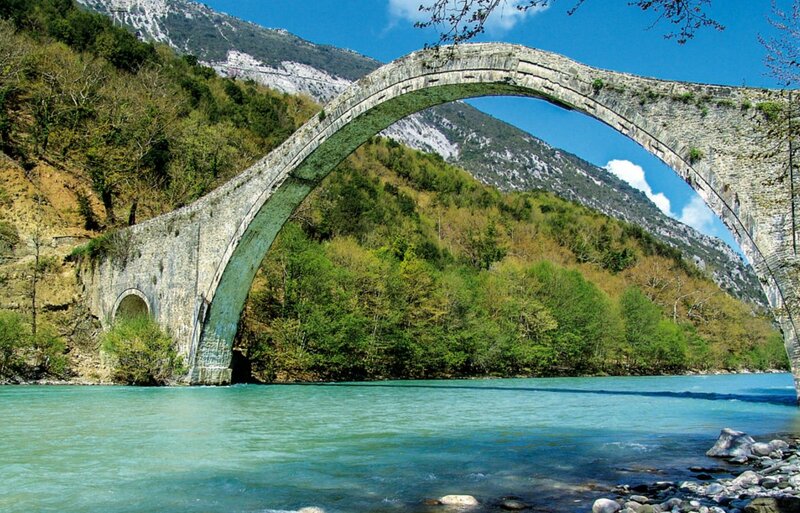 Its dimensions (61 m. of length and 20 m. of height) make it the largest one-arch stone bridge in the Balkans. It was the border between Greece and Turkey for over 30 years. Theodoriana Theodoriana is a village of exceptional natural beauty, 80km away from the city of Arta. The village is situated at an altitude of 950m in the embrace of the Tzoumerka mountain range between two rivers, Goura and White Goura. Kalarrites The village of Kalarrites is situated at an altitude of 1200 m. According to archeological findings the area has been inhabited since the Bronze Age! The settlement flourished especially in the 18th century as many of its residents maintained trading houses in major European cities. Impressive mansions of that period, made of stone like the rest of the buildings and paved streets, are still well preserved today. Once there, one can also visit the Silversmithing Museum of the village. Kalentzi Kalentzi is a village located at the south part of the prefecture of Ioannina in an altitude of 620 meters, it is 31 km away from the city of Ioannina and also 30km from the center of the wider area of Tzoumerka. It is a mountainous village surrounded by green trees and beautiful flowers. It is a quiet village at the foot of a hill overlooking the valley. Katarraktis Katarraktis is a picturesque village, situated at an altitude of 800 m. Its previous name was “Shoretsana”, but in 1927 it was renamed after the twin waterfalls at a small distance from the village. The waterfalls are a “must-see” attraction of the area, as well as the monastery of Saint Catherina. Melissourgi The wild nature with its abundance of water and fir forests, attach a unique beauty to the village. The visitor has the chance to discover one of the most beautiful places of the region with its dense vegetation, its numerous springs and beautiful landscapes. One such sight is the waterfall of “Kefalovryso”, the highest of Greece, at a short distance from the village. Prosilio The village’s first name, of Slavic origin, was “Dovisdiena”, but from 1927 to 1928 it was changed to “Chalasmata”. In 1928 the village was renamed to “Prosilio”. Its residents did not belong to the race of Vlach and even though their trading relations was mostly with that race very few among them could actually speak the Vlach language. The villagers were mostly farmers and stock-raisers, but there were also many builders. Syrrako Syrrako was built sometime around the 15th century A.D. and preserves the traditional architecture or Epirus. Stone multi-storey houses, slate roofs, stone-paved streets, carved fountains with running water and the absence of motor vehicles, all contribute in maintaining the traditional color intact. Syrrako has a significant history and is the birthplace of many eminent personalities. One can visit the folklore museums of “K. Kristalis” and “K. Avdikos”. The watermill is one of the most ancient machines used by humans thousands of years ago. It marks a milestone in the history of Technology since it’s the first machine ever to be set in motion via a natural source of energy, the water, and thus replacing the human or animal motioned mills. The watermill’s mechanism consists of two parts: the kinetic, which includes the water turbine and its compounds, and the milling one, consisting of the milling-stones and the operating compounds. At Tzoumerka one has the chance to visit some amazing traditional watermills of exceptional charm, such as the watermills of Agnanta, Matsouki, Kristi and Katarraktis. At Tzoumerka, where the water and the rivers are abundant, one has the chance to visit and traverse many stone bridges. These edifices, beside their practical use, constitute the ultimate feat of both architecture and elegance, since they fit in perfectly in the surrounding environment. The most famous among them is that of Plaka, which was constructed in 1866. Its dimensions (61 m. of length and 20 m. of height) make it the largest one-arch stone bridge in the Balkans. It served as the border between Greece and Turkey for over 30 years. The only cave in Greece, whith a river crossing along its entire length, is the cave of the Windmill of Pramanta, in Tzoumerka. A magnificent nature creation with a history of 15 million years! 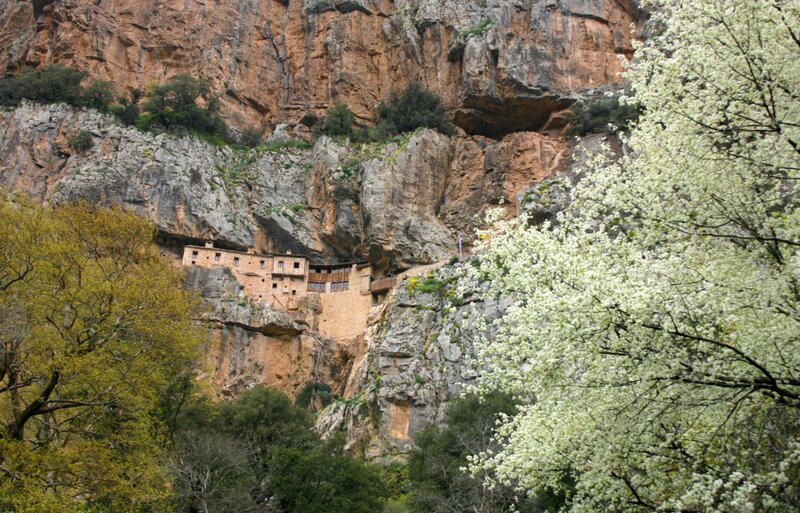 The monastery of Kipina, built in 1212 in honor of the Dormition of Virgin Mary is the most impressive of the region. It is embedded within a vertical cliff in such a miraculous way that makes it hard to be traced from a distance. 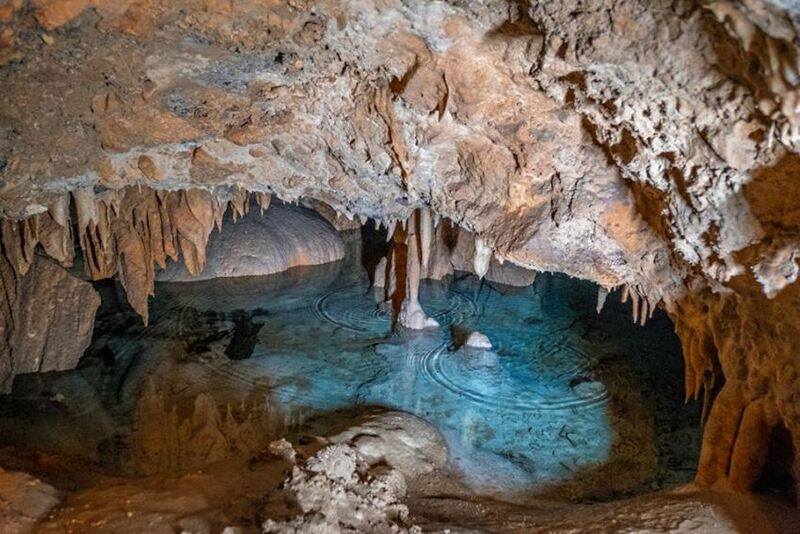 There used to be a drawbridge to secure the entrance of possible invasions and one can still visit the 240 m. deep cave, used back then, as a shelter for the protection of nearby residents.